With the price of both Brent and WTI hovering around $60 per barrel, the short to medium term outlook for oil remains uncertain, owing to the persistent oversupply in the global market. Investment firm Goldman Sachs has even bearishly predicted $55 per barrel in 2020. With OPEC unwilling to reduce its production levels, and a worsening economic crisis in Greece , the near term outlook of oil remains mostly pessimistic despite reduced U.S. domestic crude stockpiles. The World Bank has even predicted that the global economy would grow at 2.8 percent this year, down from the 3 percent predicted back in January. Does this mean that sustained low oil prices will result in financial apocalypse for the oil sector ? 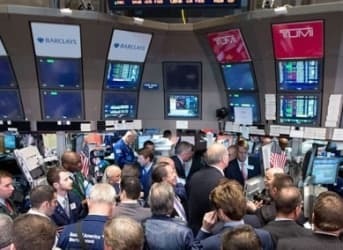 “Credit markets have played a big role in keeping the entire sector alive,” said Amrita Sen of London based consulting firm Energy Aspects Ltd. Another emerging trend, according to research by Morgan Stanley, is the raising of funds for potential acquisitions, which are expected to pick up in the third and fourth quarters of this year. Apart from Shell’s upcoming acquisition of BG group, other oil majors like Statoil are actively hunting for reasonably priced opportunities. However, there are some investment firms and trade pundits that expect a rebound in oil prices thanks to increased global demand and declining U.S. production. Insch capital management, a Swiss hedge fund, has even predicted that oil will trade at $82 per barrel by first quarter of 2016. Related: U.S. Oil Glut An EIA Invention? It was expected that mergers and acquisitions would be the best bet for oil industry when most companies were shying away from investing in new projects and reducing their drilling costs. However, that hasn’t happened in earnest yet. As a recent PWC report stated, the number of M&A deals in the U.S. oil and gas industry during the first quarter of 2015 was less than the last quarter of 2014. Bloomberg finds that driller’s debts increased to almost $235 billion by the end of the first quarter this year. Meanwhile, a recent S&P report says that oil and gas companies accounted for almost one third of the total global corporate debt defaults so far this year, the biggest reason being their inability to make interest payments. Quicksilver Inc. was one of the companies that missed a debt payment in February and ultimately filed for bankruptcy. “The financial troubles of the smaller players become amplified with lower oil prices,” said Amrita Sen. The coming two quarters will be crucial for oil companies, especially the small players, as oil prices will either make or break them. The oil industry is at a crossroads. Many oil companies will continue to suffer if oil prices remain low, and rising debt could lead to more defaults. Some bullish analysts expect oil prices to increase towards the end of this year. That might be the only thing that rescues a lot of companies from drowning in red ink.